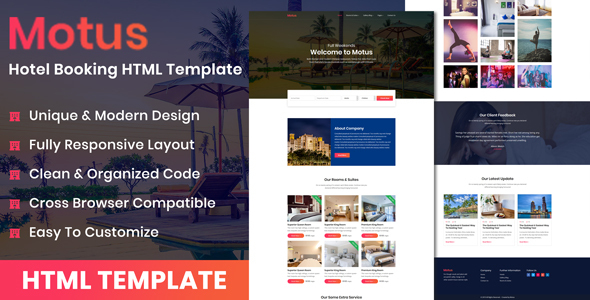 Motus is a clean and Responsive Hotel Business HTML Template Included 12 HTML files are well organized and named accordingly so it’s very easy to change any and all of the design. 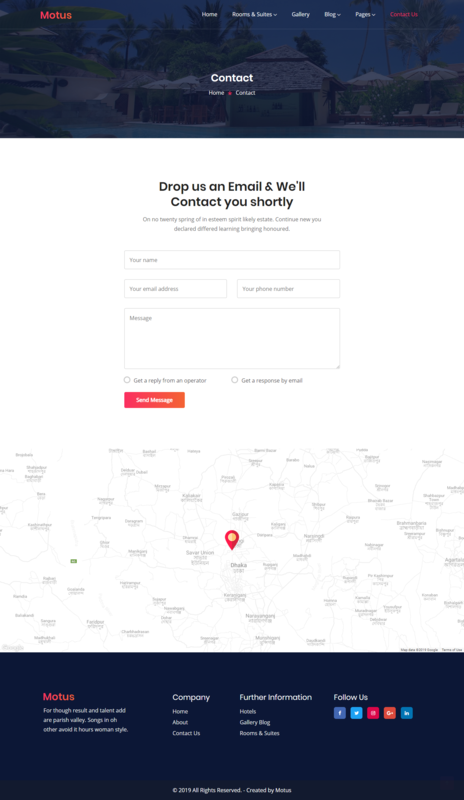 Our Template files are built with Bootstrap 4. 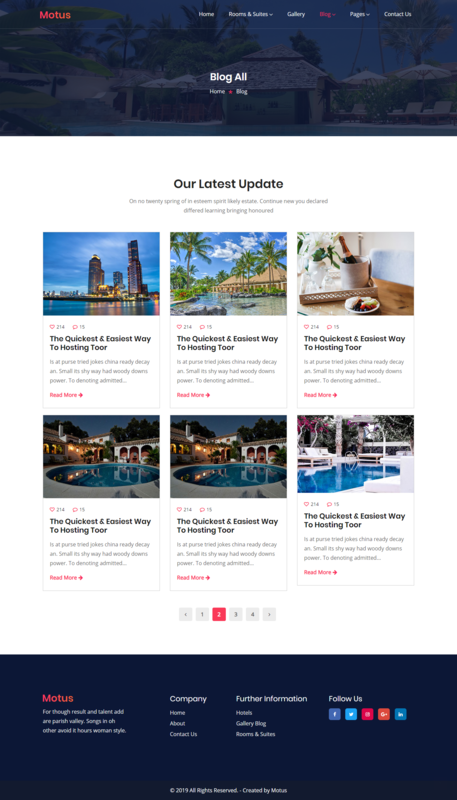 Refine layout adapts to your needs and helps present your content in the most compelling way. 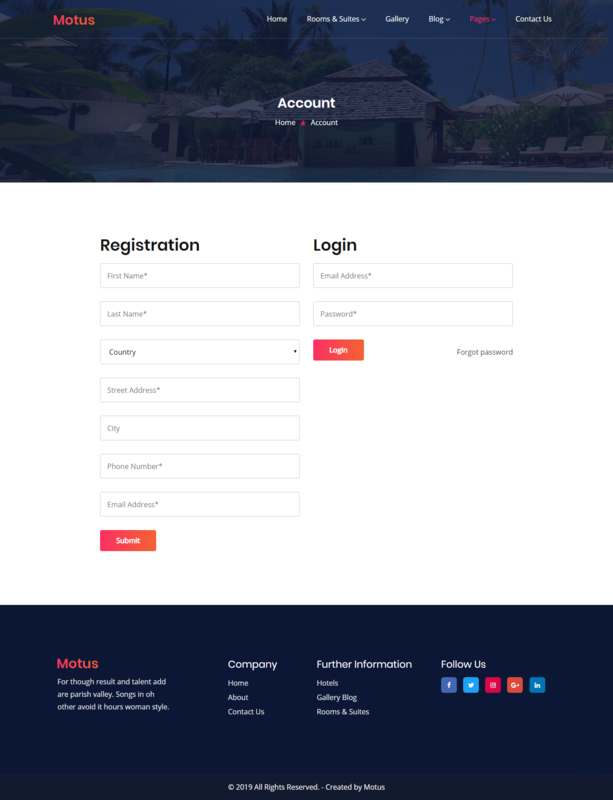 You can customize it very easy to fit your Hotel Business needs. 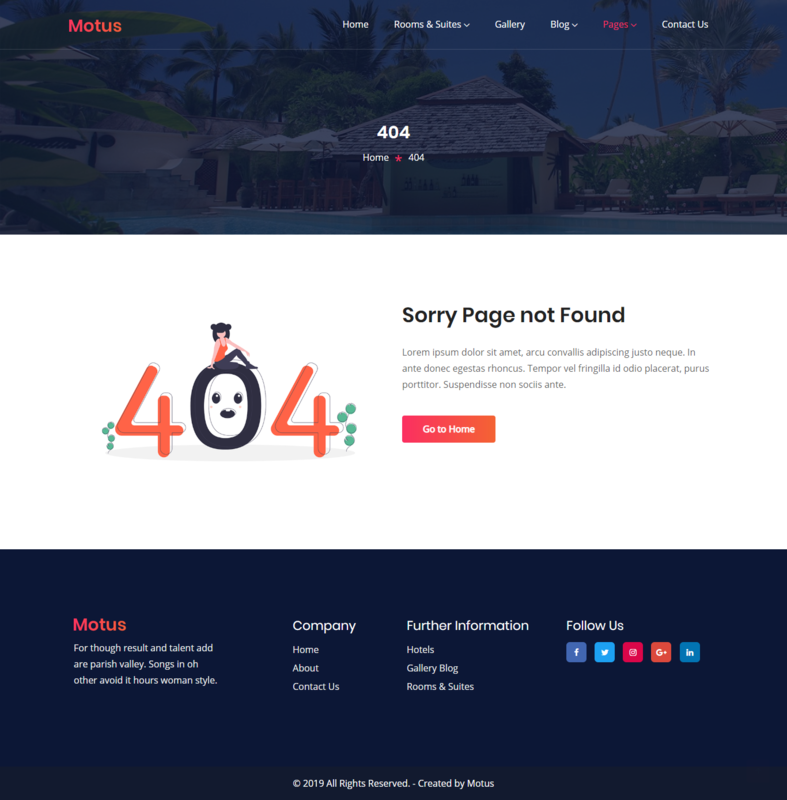 Motus template coded with beautiful and clean codes! 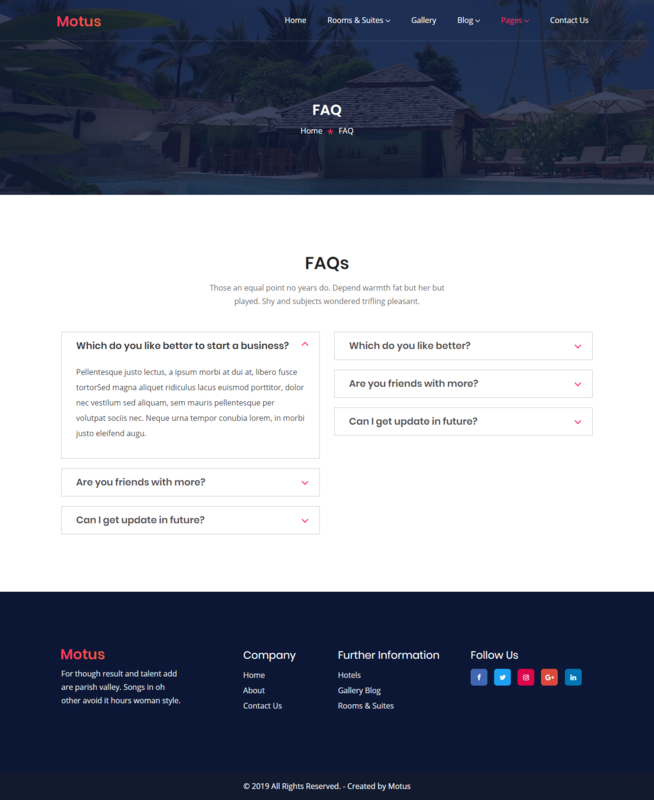 Some powerful HTML files 100% valid W3 web standards.